View More In Mixed Drinkware Sets - Page 2. Made in Europe by the world's most renowned wine-glass maker Riedel Crystal, founded in 1756, the four large glasses in this set are ideal for Cabernet Sauvignon, Merlot, and full-bodied red Bordeaux wines like Cabernet Franc. The glasses are from Riedel's Vinum Extreme series, which are distinguished by their bowls' dramatically flared diamond shape. 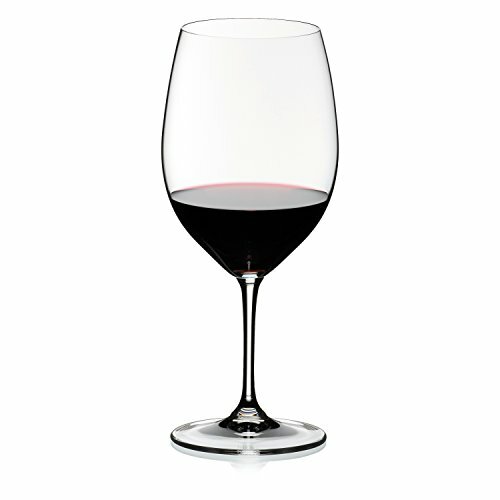 The glasses provide an exceptionally wide evaporation surface, thereby intensifying wines' bouquet and silky texture. The glasses are machine blown of 24 percent lead crystal and conform to Riedel's exacting standards: colorless, transparent, and thin-walled, with lips cut and polished so wine flows smoothly.